A judge has granted Corboy & Demetrio’s Emergency Motion for Protective Order and has issued an Order requiring Aeromexico and Aeromexico Connect to preserve, protect and produce evidence from the plane crash on July 31, 2018 in Durango, Mexico. The Order of Protection and Production, issued by Cook Co. Circuit Court Judge John P. Callahan, Jr., requires Aeromexico and Aeromexico Connect to preserve, protect and produce the cockpit voice recorder, the flight data recorder and any communications between the pilot and air traffic control, ground control and any Aeromexico personnel, beginning from 30 minutes before the crash until 10 minutes after the crash. “This is the first step in helping all of the passengers on board Flight #2431 get answers about what went wrong, and, hopefully, those answers will also improve the safety of aviation for everyone,” said Thomas A. Demetrio, Co-founder of Chicago-based Corboy & Demetrio. Corboy & Demetrio filed the Emergency Motion on Aug. 7, 2018, on behalf of the passengers the firm is representing in lawsuits against the Mexican airline. 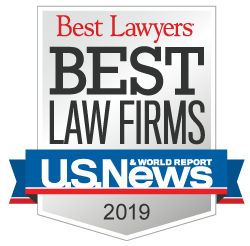 The firm has nearly 60 years of experience representing passengers in major airline disaster lawsuits and has continued its representation in many commercial and private airplane crashes since that time across the country. The firm has particular experience in crashes in severe weather conditions, including American Eagle Flight 4184 near Roselawn, Indiana in 1994, killing all 68 passengers, and the helicopter crash that killed rock star Stevie Ray Vaughan and other band members in 1990. Case #2018L8431, Filed in Cook Co. Circuit Court on 8-7-18 and Order Granted on 8-7-18.